What is The Commonest Language Used in Uganda;How do I learn Luganda? It is extremely easy to manage with English in Uganda. A lot of people speak a little bit of English, and you can make yourself understood with a number of gestures, over-pronunciations or even English, which generally is not very difficult. However, for more extended duration expats (or people basically interested in truly understanding the Ugandan culture), you will find several reasons to study Luganda. What is the Best Language to use While working with villages in Uganda? To begin with, more than 16 million residents of Uganda speak Luganda, with a specific concentration within the Buganda Kingdom as well as the Southern part of the country. That is a great deal of people you would be able to communicate with. Although it is mainly used bargaining over an artwork on a roadside stand, there’s pride in learning how to get by in a local language. Next, in case you are working in Uganda and often end up in the villages, speaking a local language may be important for development programs plus business transactions (as well as enhance your chances for employment). And finally, in case you are staying here permanently or raising your family here, it is not only a demonstration of respect for your new country; however it becomes important to incorporate yourself into the local culture. Chances are your children will obtain a working familiarity with Luganda. Their fortunate child brains are dab for that kind of information. for example my dad never learned my mother’s local tongue: once your child understands a language that you don’t, it just causes trouble. They can mouth off, arrange secret plans, and even get away with so much when the parent can not listen in. Since I am parent-age, I know how aggravating it must happen to be! Where can I study Luganda from in Kampala Uganda? There are several of alternatives in Kampala where one can improve their working understanding of Luganda. One option is using formal education. School of Language, Literature and Communication at Makerere University offers Luganda programs plus courses which range from novice to expert. This kind of programs may be long term, going for several semesters. Study points begin at basic Luganda while developing slowly into the cultural plus historical studies with stresses in phonology plus creative writing in the language of Luganda. In case you have several years at hand, this is a wonderful chance to carry on with. People searching for less rigorous ways and simply engage in a conversation in Luganda, there are several forms of course also available. The majority of courses go for one to two months and range from casual to the immersive. The Goethe-Zentrum Center found in Kampala also offers Luganda classes for novices two times a week. Several expats we talked to recommended this center because its courses are clear, well organized, and quite easy to comprehend. Their lessons are 170,000 UGX per term. An alternative choice is Alliance Française Kampala that offers references for private instructors, and organizes courses for corporate groups. The Alliance Française Kampala should be contacted and offered details of the request so that they can organize and even give you an idea of the price. The City Language Centre in addition has a number of high reviews from expats all around Kampala. They not only teach Luganda, but several other African languages like Kiswahilli, Luo plus Runyoro. For workers going to more distant areas all-around East Africa, this may prove a great resource. They encourage an initial extensive program of 4 hours each day for 2 to 3 weeks, with course-times easing up nearly one month in. This assists simulate concentration which, ok, we are engrossed in Kampala, however since Luganda is hardly ever spoken with expats while English is used by the majority of residents, it’s not easy to get the continuous linguistic barrage you could have in, for example, Paris. The City Language Centre is 6 kilometers south of the capital Kampala, therefore it isn’t the most convenient location, and however it is strongly suggested. Not too long ago, Pop Up Cafe found in Ntinda has begun offering group Lessons of Luganda every Saturday and Sunday with plans to even have classes during the weekdays. These groups are tiny with utmost 5 people to make certain that there is an excellent learning environment. Also this is a wonderful alternative for people seeking to learn Luganda within a social and relaxed setting. The price is 250,000 UGX for lessons and includes coffee plus snacks of your preference while there. Certainly, private teaching is definitely an alternative. Several expats form tiny groups together and they alternate hosting the lessons inside their homes. People with more demanding schedules, those with children, or the merely lazy it’s a wonderful way to make your own standard of concentration and with one-on-one assistance. Shy students in classroom settings, it could be a comfort to have private assistance when a specific expression or grammatical rule is hard to understand. Certainly, for people who want to take them alone, you are welcome to consider private lessons. The majority of reliable tutors all over are pleased to offer private one-on-one lessons. However, it’s important to note this is usually more costly and eliminates most of the social element that goes in conjunction with language learning. In case you’re looking for a reliable teacher, it’s better to check on the internet at Expat forums. Normally there are 1 or 2 names which will keep appearing over and over. People searching for materials to begin their studies, there are several online alternatives. The Luganda Society is an NGO which aims to encourage the history plus culture of Luganda language. 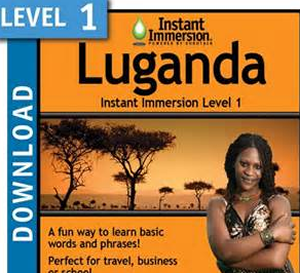 They’ve got an online beginners course for fundamental Luganda (http://www.buganda.com/luganda.htm). During the course you’ll find fundamental grammar, a basic phrasebook plus pronunciation guides. Omniglot as well offers a page which offers helpful information for basic Luganda writing with a reference on how to use Arabic script in the local Luganda (http://www.omniglot.com/writing/ganda.php). Certainly in good ol’ fashioned print, there is that well-known green Luganda-English Phrasebook for Tourists developed by Fountain Publishing. This you can find in the majority of bookstores; however they are as well commonly available at bus parks plus taxi parks, together with vendors usually pushing them into hands of foreign travelers. Nevertheless, you decide to learn Luganda, keep in mind that language learning takes time as well as real work. For people who have back grounds of Latin or German, it can as well be particularly challenging. Heading from Spanish to French is not very ambitious. However going from the English language to Luganda? That is an entire host of words plus sounds that will make sense immediately. Repetition and constant practice is vital. Just carry on it and before long you will end up involved in a culture and essence of Uganda for the first time!